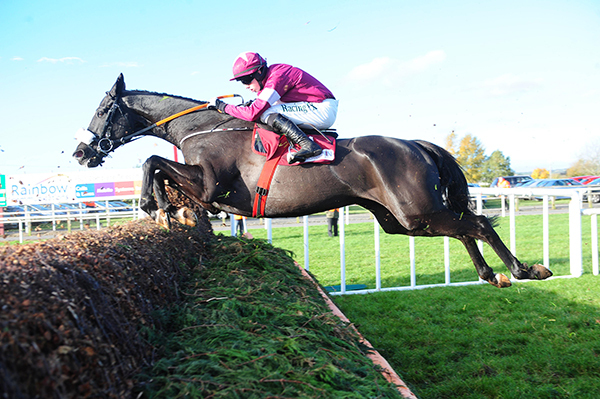 DON COSSACK (GER) (Konigsstuhl (GER)) 16 wins incl. Gr.1 Timico Cheltenham Gold Cup Chase, Cheltenham, Gr.1 JNWine.com Champion Chase, Down Royal, Gr.1 Drinmore Novice Chase, Fairyhouse, Gr.1 John Durkan Memorial Punchestown Chase, Gr.1 Punchestown Gold Cup, Punchestown, Gr.1 Betfred Melling Chase, Aintree, Gr.2 Powers Irish Whisky Chase, Down Royal, Gr.2 Kinloch Brae Chase, Thurles (twice), Gr.3 Irish Daily Star Chase, Punchestown, Gr.3 Star Best For Racing Coverage Chase, Punchestown, etc. ESMONDO (GER) (Mondrian (GER)) 10 wins over hurdles incl. Gr.1 Prix Cambaceres 3yo Hurdle, Gr.1 Prix Renaud du Vivier Hurdle, Gr.2 Prix Georges de Talhouet-Roy Hurdle & Gr.3 Prix d’Indy Hurdle. Invicter (FR) (Nikos) 3 wins incl. Gr.2 Prix Georges de Talhouet-Roy Hurdle, Auteuil, 2nd Gr.1 Prix Cambaceres Hurdle, Auteuil, second in LR Prix Robert Lejeune Hurdle, Auteuil. Berkshire Nov. Chase Newbury, 3rd Gr.1 Pertemps Network Mersey Novices’ Hurdle, Aintree, 3rd Gr.1 Punchestown Champion Hurdle, Punchestown. SERIENSCHOCK (GER) (Highest Honor (FR)) 10 wins incl. 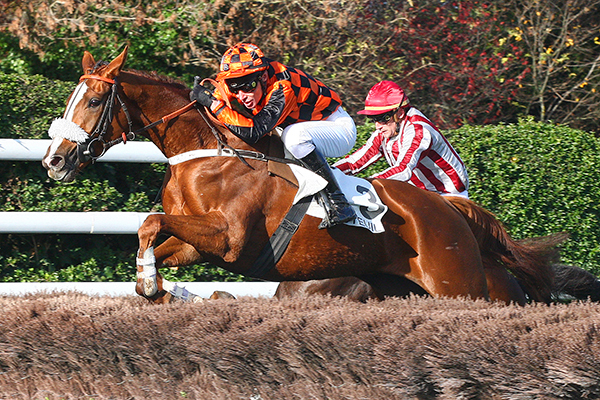 Gr.3 Grande Course de Haies de Printemps H. Hurdle, Auteuil, LR Prix Rose Or No Hurdle, Enghien, LR Grand Course De Haies De Cagnes, Cagnes-Sur-Mer (twice). KRUZHLININ (GER) (Surumu (GER)) 8 wins incl. 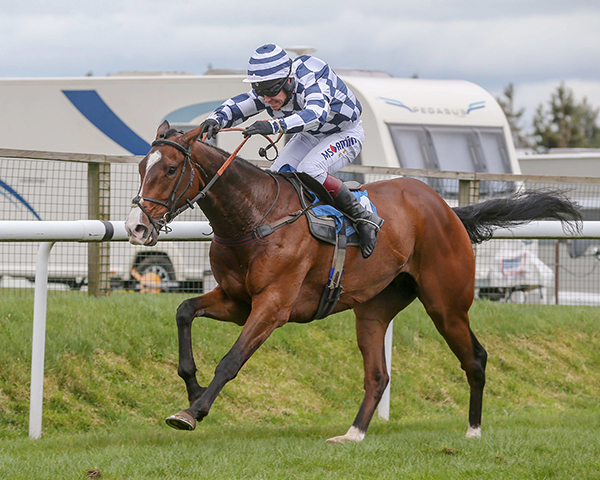 Gr.3 “Fixed Brush” Handicap Hurdle, Haydock. SWEET SHOCK (GER) (Garde Royale (IRE) 4 wins incl. Gr.3 Brown Lad H. Hurdle, Naas, 2nd Gr.1 Navan Novice Hurdle, Navan. DOMINATO (GER) (Monsun (GER): won Gr.3 Premio P e Franco Richard Steeple Chase, Merano, 3rd Gr.2 Premio Ezio Vanoni Chase, Merano. ALLEN VORAN (GER) (Nebos (GER)) 4 wins incl. 2nd Gr.1 LXXV11 Gran Premio Merano Alto Adige Chase, Merano, 2nd Gr.2 Prix Congress Chase, Auteuil, Gr.3 Prix Duc d’Anjou Chase, Auteuil & 3rd Gr.2 Prix Jean Stern, Auteuil. 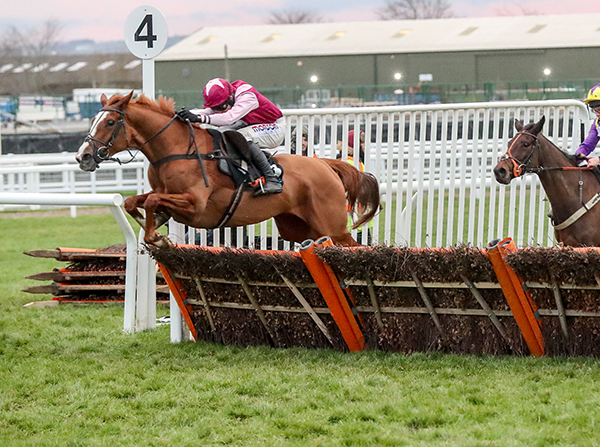 NAMBOUR (GER) (Dashing Blade (GB)) 4 wins and 2nd Gr.2 At The Races Novice Hurdle, Thurles, Gr.2 Agnelli Motor Park Novice Hurdle, Fairyhouse, 3rd Gr.2 Dorans Pride Novice Hurdle, Punchestown. For more winners by Sholokhov, click here.